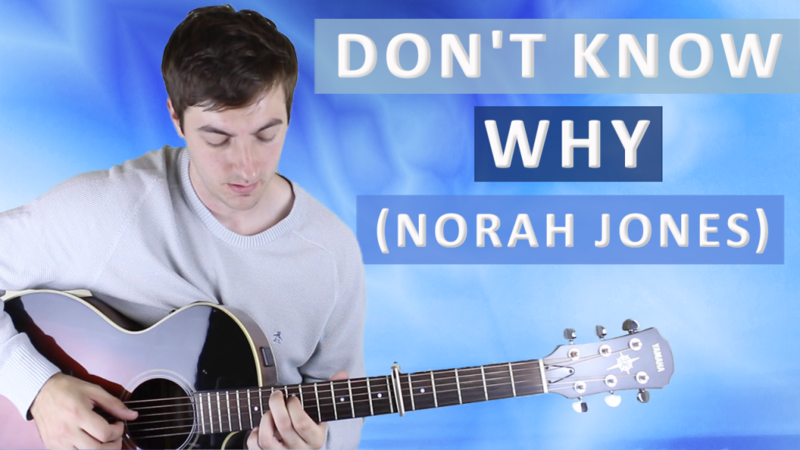 Scroll down for full video lesson (with tab) of Don't Know Why by Norah Jones. Don't Know Why was originally written by American musician Jesse Harris in the late '90s and appears on his album 'Jesse Harris And The Ferdinandos'. Norah Jones' version of the song was recorded in 2002 and can be found on her debut album 'Come Away With Me'. The song brought Jones to fame and peaked at no. 30 in the U.S Billboard Hot 100. After the release of Come Away With Me Norah Jones won three Grammy Awards in 2003 for Song of the Year, Record of the Year and Best Female Pop Vocal. This song is incredibly tastefully written, and you can tell by the sophisticated chords that it has a lot of jazz influence in it. One thing that's very cool about it is that there's a descending chromatic line that blends neatly into the chords and runs right through the verse. As you learn the verse try, to notice that the notes on the G string are always moving down one fret with each new chord and then it resolves perfectly to the E (I) chord at the end of the progression. It's subtle and intelligent touches like this that make the song so good, and one of the reasons why it's been so successful. Don't Know Why is no. 27 on my Top 60 Fingerpicking Songs of ALL TIME list. 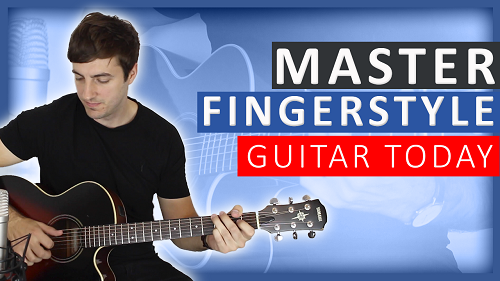 If you've not seen the list be sure to check it out and sign up to my weekly email lessons so you don't miss learning any of these great fingerstyle songs. The only difference between the intro and the verse is that on bar four you go to an E chord instead of staying on the A/B. Sometimes he'll mix things up a little on the Emaj7th - E7 chord during the verse and arpeggiate the chords differently, these small nuances are another reasons that this song is so good. I suggest using a nice mix between the two and to not get overly fussy about when to play each one, just try to do what feels most natural at the time. After the chord progression for the verse has repeated, a quick turnaround is played. This is just the final two bars of the verse played once more. It's worth knowing that this turnaround happens again for the ending of the song. Some beautiful chords here for the chorus with a nice descending bass line at the end to lead you back to the verse. Norah Jones (birth name Geetali Norah Shankar) was born 30th March 1979 in Brooklyn, New York to concert producer Sue Jones and Indian classical musician Ravi Shankar. Jones first began singing in public at church and took piano/vocal lessons from a young age, she went on to study jazz piano at the University of North Texas before relocating back to New York to write her first album 'Come Away With Me'. Her music is a blend of jazz, soul, pop and country and she has now sold over 50 million records!